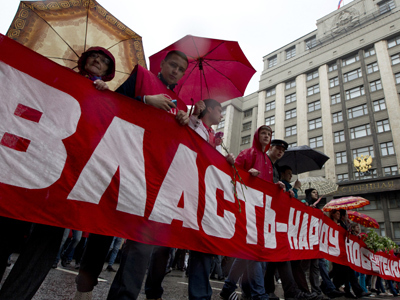 Around twenty opposition activists protesting against a bill on raising fines for illegal rallies have been detained near the State Duma. The arrests are reported to be continuing. ­“Eighteen people, including myself have been detained. We have not violated any laws. We were just holding one poster and flysheets. 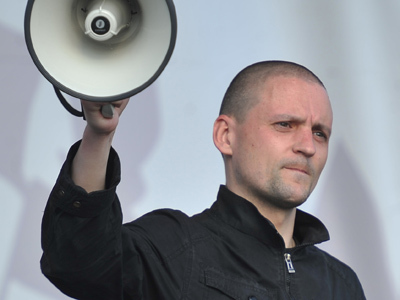 We were calling on people to come to a sanctioned rally,” leader of the liberal Yabloko party Sergey Mitrokhin told journalists over the phone. Activist of the Left Front movement Anastasia Udaltsova wrote in her Twitter account that 23 protestors have been detained. 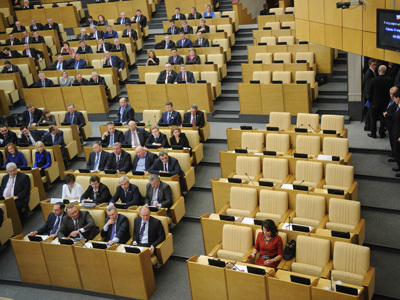 On Tuesday, the bill is expected to pass the second and third readings in Russia’s lower house. Initially, United Russia proposed raising the maximum fines for violations during street protests from the current 2,000 roubles (under $30) to 1.5 million roubles (about $50,000). Under a second reading, the suggested maximum fine is expected to be reduced to 300,000 roubles for individuals, 500,000 for legal entities and 600,000 for state officials.